Built from pimcore/pimcore@7a2aaf with pimcore-docs@7e2aaa . Content commerce, shop everywhere, vanish separation of content and commerce - these are key phrases that popup with every state-of-the-art e-commerce project. 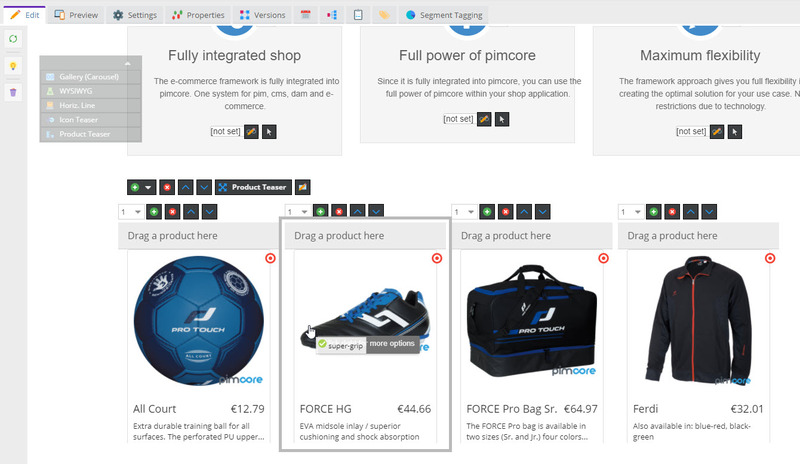 With its integrated approach Pimcore does exactly that and provides several tools to provide the best experience for the users. One of these tools are Renderlets, which provide a great way to integrate dynamic object (thus commerce) content to Pimcore documents. Follow the steps to create a Product teaser similar to the one in our advanced demo.